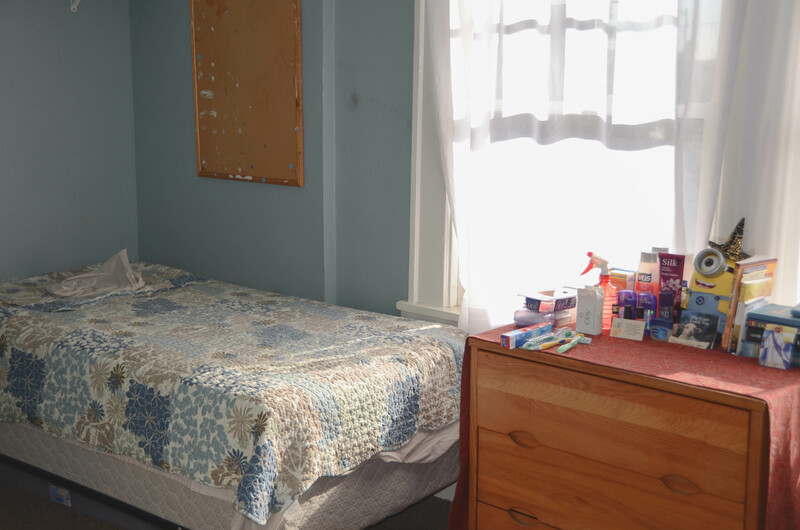 The Alcoholism Center for Women aims to improve the mental, physical, emotional and social conditions of its clients by guiding them toward a drug-free life. Pico Union facility takes in women from all walks of life. In 1974, activist and recovered alcoholic Brenda Weathers founded the Alcoholism Center for Women. It's the first substance abuse service agency on the West Coast to care exclusively for women. 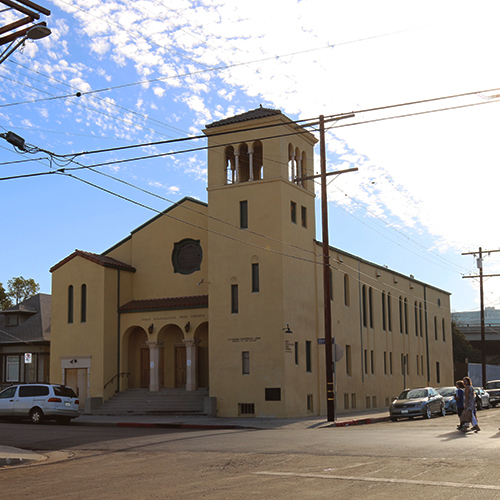 The center, which operates out of two Victorian-style houses on Alvarado Street in the Pico Union neighborhood, was also the first facility in the nation to openly accept gay women. *The names of clients interviewed in this article have been changed, for privacy purposes. In a simple room adorned with smile-filled photos and posters espousing positive messages, a myriad of voices can be heard responding to a counselor’s questions. These voices belong to many different women, who have one thing in common: they are attending the residential substance abuse treatment program at the Alcoholism Center for Women (ACW) in Pico Union. The Alcoholism Center for Women hosts two main programs, a 6-12 month outpatient program and a 3-6 month residential program that can service up to 32 clients. They stay in the Serenity House, a sober living space in which residents are taught life skills along with undergoing treatment. During their stay, residents are given customized treatment plans that employ therapy and health education with the goals of stabilizing them and preparing them for re-assimilating into society. They also have access to an on-site nutritionist, and a family counselor who can conduct sessions with their family members. Lorette Herman, the organization’s Executive Director believes that women often carry issues that hinder them from overcoming addiction as easily as some men might. In the US, an estimated that 4.5 million women have a substance abuse problem that requires treatment. Los Angeles is especially known for drug use; from January to June of 2013, over 21,000 individuals were admitted into hospitals for treatment of substance abuse. Addiction has persistently plagued the lives of 32-year-old Liv and 22-year-old Arlene, two members of the residential program. Arlene is a month into the program and Liv has completed her six months, but is choosing to extend her stay for another 90 days. Both women are mothers: Liv has a 13-year-old daughter and Arlene has a 2-year-old son and 6-year-old daughter. Both women are confronting addiction that sprung up in their youth and escalated drastically. Liv started drinking and smoking in her early teens, and later turned to meth. Arlene used marijuana in high school and soon ventured into other drugs, primarily meth. Liv and Arlene had tumultuous childhoods, marked by family conflict and learning difficulties. Liv endured a strained relationship with her parents, eventually causing her to run away from home and become involved in crime. “I liked criminal activity and fraud. I liked drugs. I liked the lifestyle,” Liv said. Meanwhile, Arlene came into contact with more drug users as she became a teenager. Although their stories are similar in many ways, they arrived at the Center because of two different reasons. Liv had been arrested for fraud, and was given the option of serving a three-year sentence with parole or participating in the program. The ACW has a partnership with several prisons, wherein women convicted of minor offences can serve part of their time by completing the residential program. Arlene committed to the program for her children, after they were taken in by Child Protective Services. "I was an ugly monster to my kids." The recovering addicts admit that drugs provided a temporary euphoria but inflicted deep damage on their mental health. Liv battled anger issues, and struggled to open up to and trust people. Arlene would fall in and out of bouts of depression: the most serious one took place a few months ago, and culminated in a near-suicide attempt. Fortunately, both women believe they are on the path to improvement. Liv most appreciates the honesty with which the ACW’s staff communicates with the women. “They’re not going to baby you and hold your hand,” Liv said. “My counselor and I, we’ve had some very deep conversations. She showed me another way, and I’m running with it," Liv said. Arlene agrees that the ACW does a good job in connecting to each individual resident. “I’ve been to programs before, and this is the first one where I feel like they’re [the staff] actually listening to me,” Arlene said. 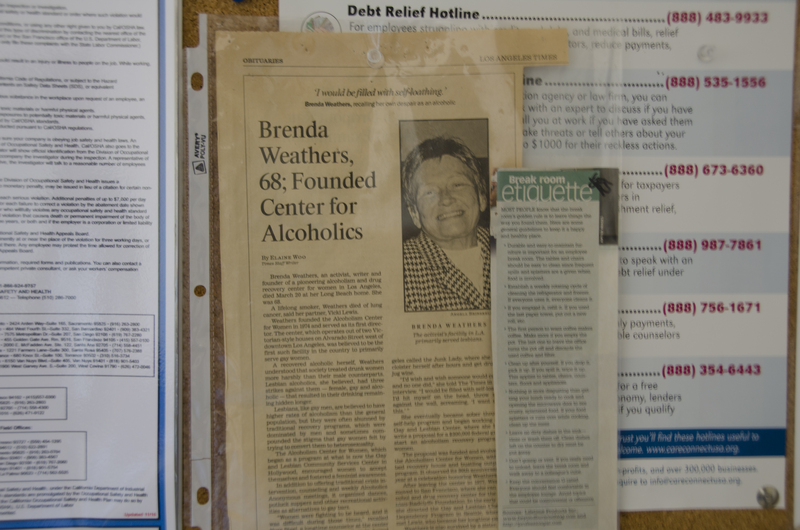 A newspaper clip about Brenda Weathers, the founder of the ACW, is displayed in Lorette Herman's office. Substance abuse can be a chronic condition; just because certain urges are being suppressed doesn’t necessarily mean that they won’t flare up again in the future. Liv and Arlene hope they can maintain sobriety to achieve their goal for the future: Liv wants to go back to school and find a job, while Arlene wants to be reunited with her children. Jozette Combs, a recovered addict and residential counselor with the ACW believes that it’s vital for these women to establish a network of support, to achieve these goals. The ACW puts emphasis on sponsorship, a situation when a former addict mentors a recovering addict. "Sitting across the table with another woman who's helping you discover the truth about yourself: that's powerful," Combs said. Addicts like Liv and Arlene can experience numerous health issues. Los Angeles ranks first in the nation in methamphetamine usage, second in cocaine usage and third in marijuana usage. The body's cardiovascular system, gastrointestinal system and immune system can be damaged by drug use. "I didn't care about anything, I just wanted to get high." - Arlene. Addiction develops when the brain gets accustomed to drug use as a normal, everyday behavior. The pink, brick building located at 1565 W 14th St in Los Angeles is a long-standing fixture of Pico Union’s Central American community. It has undergone two different organization within 40 years, but has stayed true to one mission: advocating for, and aiding immigrants. Now, during this period of political unrest in the United States their community is hoping for the best, but preparing for the worst. 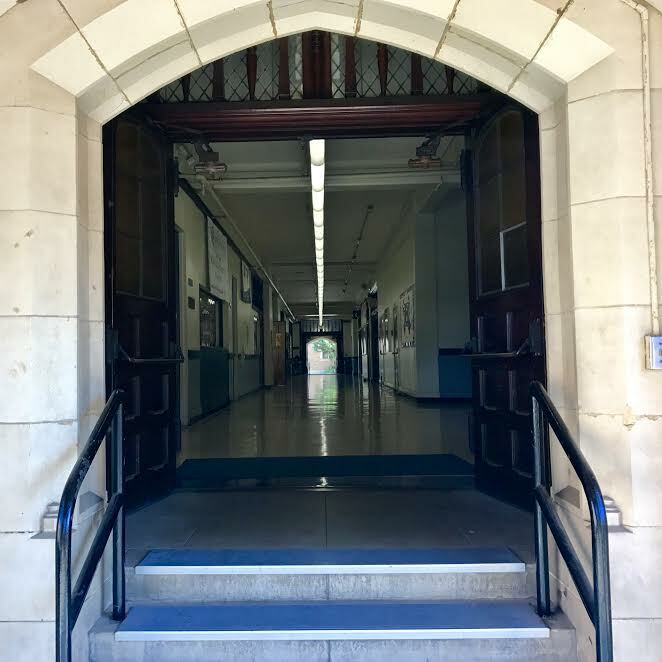 Only 0.7 miles separate Loyola and West Adams Preparatory High Schools in Pico Union. Yet, the two turns that stand between the unique campuses reveal far more differences than similarities.